You are here: Home » Our wines » Red » Nebbiolo Sommet Valle d’Aosta D.O.P. Characteristics: Bright ruby color. On the nose blackberry, cherry and balsamic notes. 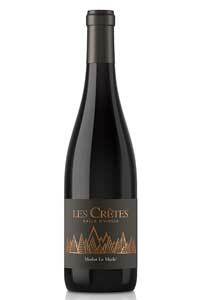 On the palate, juicy, precise and savory pulp that persists for a long time expressing the elegance of the mountain. Food pairings: Mountain meats, salami, white and red meats, alpine fontina and cheeses. Optium serving temperature: 16/18 °C. Side note: The Nebbiolo biotype, present in the south alluvial valley of glacial origin, brings us back to the origins of viticulture in Aosta Valley. 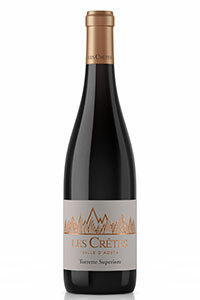 This wine is born from the desire to vinify and valorize a traditional variety; the result is a wine of great character and refinement, an expression of these mountain “terroirs”. Sommet means top, with a look at our mountains.